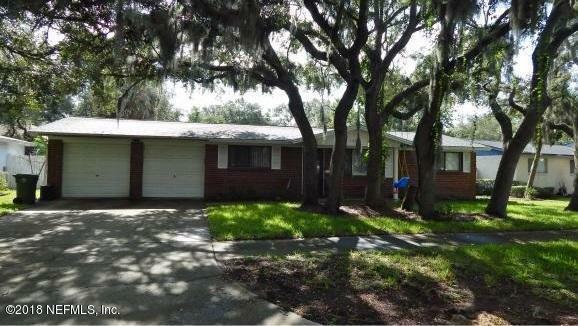 Charming brick/block one in S Jacksonville Beach. 3 bedrooms 2 baths om quiet cul de sac in top rated schools area. Kitchen opens to dining and family rooms. All bedrooms have walk in closets. Price reflects need for updating. Roof only 5 years old. Very nice privacy fenced back yard with a patio area for family gatherings. Walk or bike to beach, parks, restaurants, schools and transpiration.